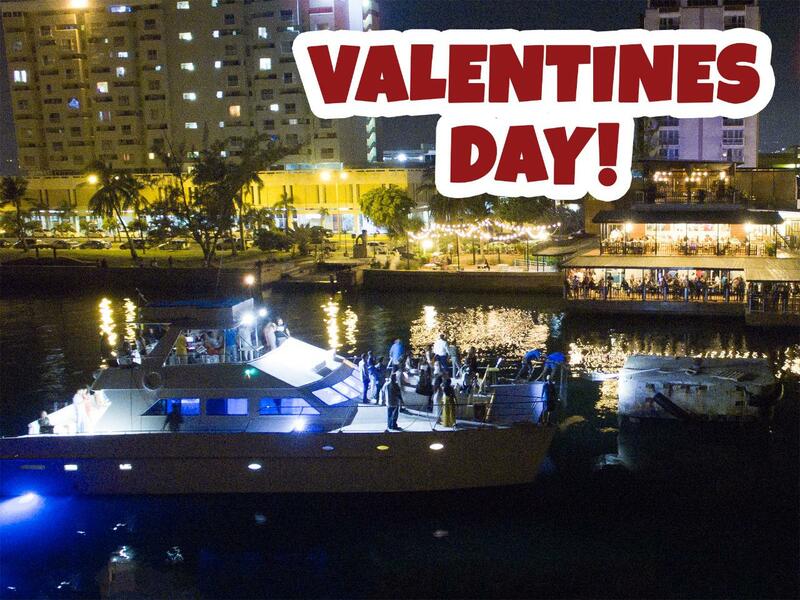 Celebrate this Valentines Day in style with a romantic harbour cruise on the Loose Cannon Yacht. Come aboard our luxurious 69ft Power Catamaran for a party experience unlike anything else you'll find in Jamaica. We leave from the RIBBIZ Ocean Lounge (Victoria Pier) on Downtown Kingston's waterfront at 7pm, and return at around 10pm. 1. High heels not allowed on the boat. Please wear flat shoes. 3. I.D. must be presented at the dock for discounted tickets.